I recently posted an excellent video showing how the War on Poverty has been a disaster for both taxpayers and poor people. Let’s now look at a specific example of the income-redistribution racket. 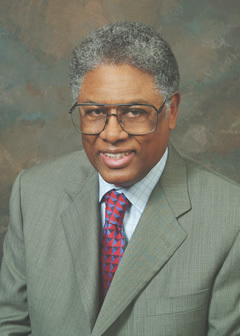 Professor Thomas Sowell has a superb column, which begins by noting that the left tried to build support for more income redistribution by falsely claiming that there was a hunger crisis in America. When that silly assertion was debunked, in part because of evidence that obesity is a bigger problem in the low-income community, the statists suddenly switched gears and invented a new crisis. Now, we are told, healthy food is too costly. Prof. Sowell decimates this absurd argument. Ironically, the one demonstrable nutritional difference between the poor and others is that low-income women tend to be overweight more often than others. That may not seem like much to make a political issue, but politicians and the media have created hysteria over less. The political left has turned obesity among low-income individuals into an argument that low-income people cannot afford nutritious food, and so have to resort to burgers and fries, pizzas and the like, which are more fattening and less healthful. But this attempt to salvage something from the “hunger in America” hoax collapses like a house of cards when you stop and think about it. Burgers, pizzas and the like cost more than food that you can buy at a store and cook yourself. If you can afford junk food, you can certainly afford healthier food. An article in the New York Times of September 25th by Mark Bittman showed that you can cook a meal for four at half the cost of a meal from a burger restaurant. Seems like that should settle the argument. But give the leftists credit for creativity. They invent another problem which also requires big government. Mr. Bittman says that the problem is “to get people to see cooking as a joy.” For this, he says, “we need action both cultural and political.” In other words, the nanny state to the rescue! Since when are adult human beings supposed to do only those things that are a joy? I don’t find any particular joy in putting on my shoes. But I do it rather than go barefoot. I don’t always find it a joy to drive a car, especially in bad weather, but I have to get from here to there. An arrogant elite’s condescension toward the people — treating them as children who have to be jollied along — is one of the poisonous problems of our time. It is at the heart of the nanny state and the promotion of a debilitating dependency that wins votes for politicians while weakening a society. Those who see social problems as requiring high-minded people like themselves to come down from their Olympian heights to impose their superior wisdom on the rest of us, down in the valley, are behind such things as the hunger hoax, which is part of the larger poverty hoax. With his usual clarity, Sowell then points out how the politicians and bureaucrats have a big self interest in perpetuating these myths. Those who believe in an expansive, nanny state government need a large number of people in “poverty” to justify their programs. They also need a large number of people dependent on government to provide the votes needed to keep the big nanny state going. Politicians, welfare state bureaucrats and others have incentives to create or perpetuate hoaxes, whether about poverty in general or hunger in particular. The high cost to taxpayers is exceeded by the even higher cost of lost opportunities for fulfillment in their lives by those who succumb to the lure of a stagnant life of dependency. In other words, the people administering the programs – Walter Williams calls them “poverty pimps” – are the ones who benefit. The biggest victims, on the other hand, are the less fortunate people who get trapped in lives of dependency and despair. This video on the “Obama Presidency by the Numbers” is making the rounds on the Internet. Excellent job. Yes, some numbers were cherry picked, but Obama looks bad for the simple reason that his big-government policies have been a failure.